Home » Entertainment » Don Diamont Self-Revealed Bio: Who Are "Bold and the Beautiful" Star's Wife & Sons? Don Diamont always wanted a large family and to be a father. As fate would have it, the twice-married hunk had what he wished, a large and happy family living blissfully. The actor has been a part of the CBS opera the Bold And The Beautiful(B&B) since 2009. Similarly, he also launched a book based on his memoirs My Seven Sons And How We Raised Each Other in May 2018. Before the hit CBS show, he was a part of another long-running opera Young And The Restless(Y&R) for more than a decade. He has not only appeared in soap operas but also adorned the cover of coveted magazines including Vogue, Playgirl among others. He also has been named the sexiest man in soap opera twice, in 2006 and 2009. After commencing his career as a model, Don bagged his first acting role in the series Days of Our Lives in 1984. After about a year with the show, he was cast as Brad Carlton in the CBS soap The Young And The Restless. The fans appreciated Don's portrayal of a handsome gardener which eventually became an indispensable part of the show for about two decades. After joining the show in 1985, he temporarily left the show in 1996 only to rejoin it in 1998. He reprised his role for another decade before his character was killed in 2009. However, as he once quipped, 'As one door closes another opens' he was signed for one of the sister shows of the Y&R, The Bold And Beautiful in 2009, a role he has held on till date. Apart from being the face of two hit series he also has appeared in movies A Low Down Dirty Shame, Country Justice, and Anger Management. Whats more, the hunk, awarded the Sexiest Soap Hunks of All Time in 2006, has also acted as a spokesperson for home furnishing company, Morris Home Furnishings. All these acting credits and modeling contracts have helped him amass a decent net worth of $4 million. The handsome actor's bio had an added attache of an author in 2018. He tried his hands in writing and authored his autobiography entitled My Seven Sons And How We Raised Each Other which was released in May 2018. The book is a collection of his memoirs and chronicles his life. The book is a perfect mix of laughter and tears as it not only deals with his heartbreaking family traumas but also about his hilarious anecdotes as a father of seven sons. The book is a recollection of how his wife and he raised their sons and in return saw them growing up with them. Born on 31 December 1962 as Donald Feinberg, the actor was brought up in a close-knit Jewish family. However, his close-knit family was taken apart when he was in his twenties as he lost two of his family members in quick succession. He lost his father, Albert Feinberg in 1987 to kidney cancer and his brother a year later to a brain tumor. However, the losses ignited a love for his family in the actor's mind and have always craved for a large family. 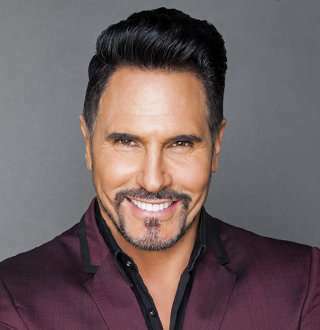 Don Diamont's love for the family can be seen by the sheer number of his family members. The actor has twin sons born in 2002, from his current wife Cindy Ambuehl who he married in 2012. The lovebirds married after dating for ten years. Before his marriage with Cindy, he was married to Rachel Braun in 1994 and had four sons with her. However, the couple divorced in 2002. Don also raised his sister Bette's son as his own, taking the number of children to seven. The large family has been the source of inspiration to the star, and he admitted while talking to IndyStar in 2014 that his wife Cindy was his homie, helping him loosen up from the hectics of his work. Whats more, the actor labeled himself just another normal dad, who drops his sons to school and then go for his regular work. Shooting daytime for his series has also helped him be a presence in the house, just as a regular dad would do. Previously the actor had opened up about fatherhood and claimed that fatherhood had been a blessing in his life in 2013.